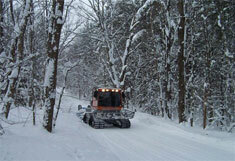 Security State Insurance takes pride in being knowledgeable about the specific insurance needs for snowmobile clubs. We work to explain coverage and deductibles, as well as finding the most competative rates. We are not an agency that does business by phone or letters. We will meet with your club members to discuss the provided coverages at your location at a time that best fits your schedule, at every renewal. Security State Insurance is a proud member of MNUSA.